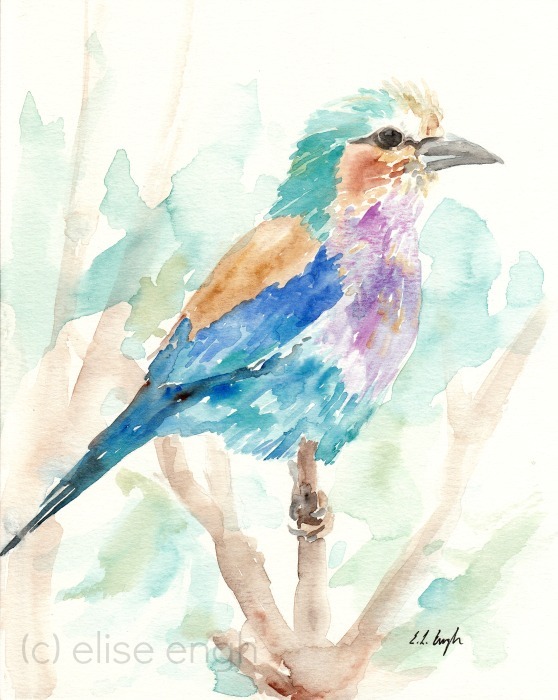 This one is a Lilac-Breasted Roller, just in case you were wondering. I've learned to recognize a few more birds since I started painting them. Art can be educational after all! See it in my Etsy shop too! P.S. I'm having a Christmas Sale soon ,so stop by my shop between from December 2-7 and enjoy 20% off everything! Very pretty colors. I am learning to draw myself.Your art is beautiful.